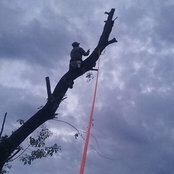 With more than 40 years of experience, Tree Service of San Antonio has provided the most comprehensive tree removal services in all of San Antonio & Boerne, TX. Our team of licensed and insured tree arborists has the skill and expertise necessary to provide quality services. We are also a proud member of the International Society of Arboriculture, which allows us to stay in the forefront on all zoning codes and regulations as well as tree preservation and protection ordinances.